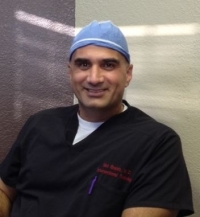 » Watch Next Video by Dr. Mel Ghaleb, MD - What is phlebology? How do you get spider veins? Spider veins are the end sequella of the reflex inside of another vein that we call the saphenous vein. The best analogy is again to think about it as a tree with the trunk of the tree being the saphenous vein and the branches being the spider veins. It is all caused by the return of blood back to the foot, which is abnormal, causes the veins to distend, and causes the pressure inside of these veins to go up high. Therefore, the normal body mechanism to fix this problem is to create more abnormal veins trying to decompress this increased pressure, which translates into forming small spider veins.